Postcards of these photos will be coming soon to the Harrisville General Store, Harrisville, NH. 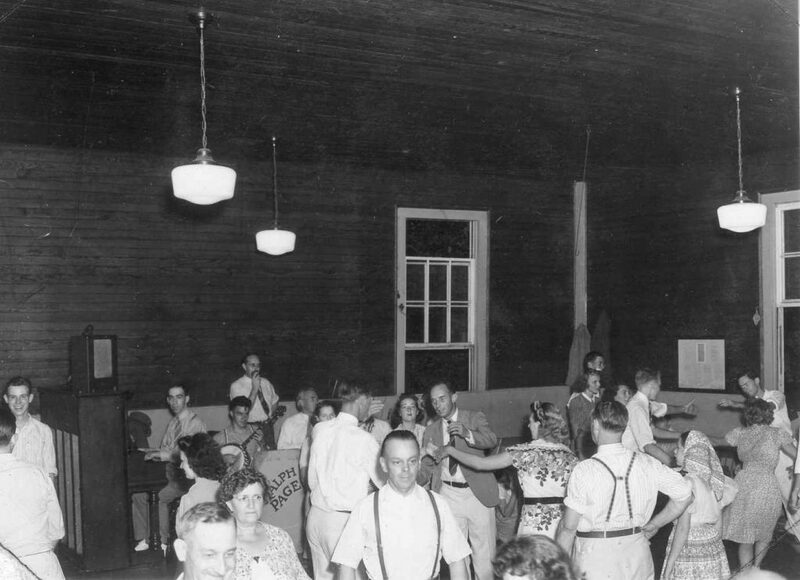 A load of basket-seat porch rockers, the L.J. 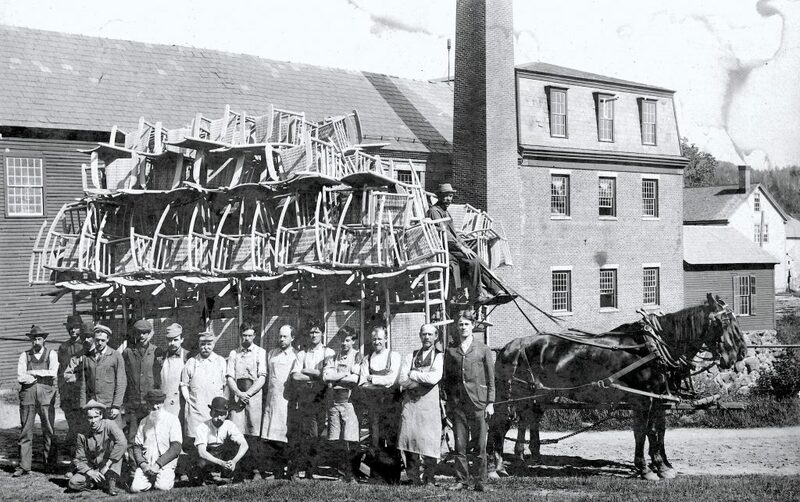 Colony Chair Factory in Munsonville (NH), c. 1880. 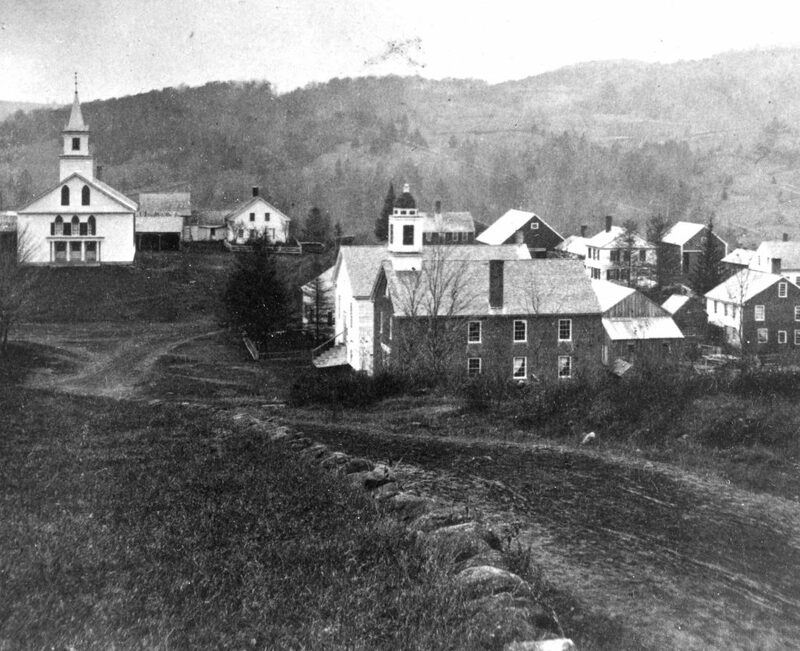 Early view of Nelson (NH) village including school (center), an elevated Town Hall and church. Look at the Town Hall stairs. Inside the L.J. 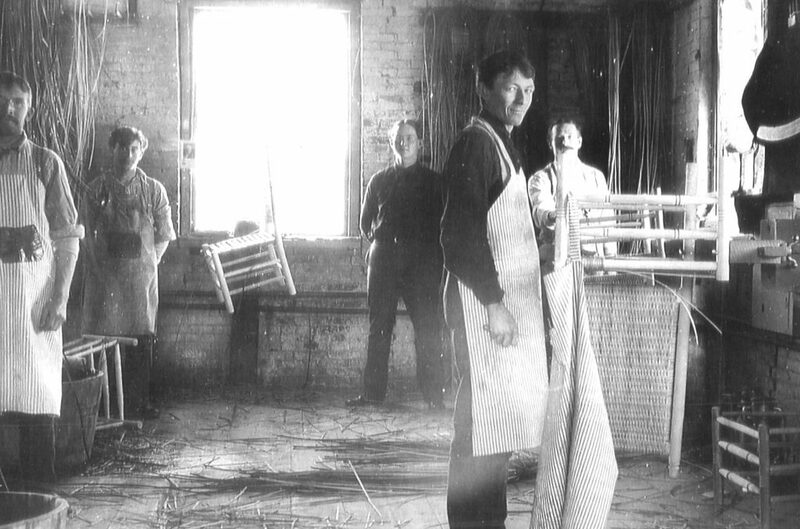 Colony chair factory, Munsonville (NH), c. 1880. 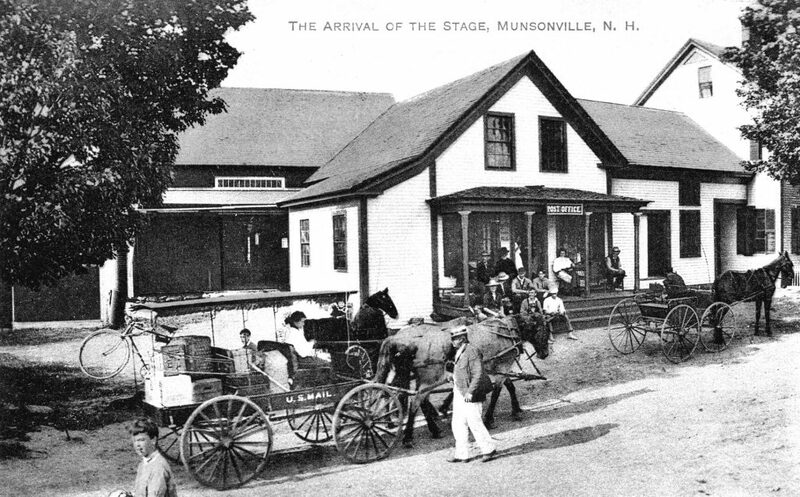 The U.S. Mail stage at Green’s Store and Post Office in Munsonville Village (NH), about 1900. 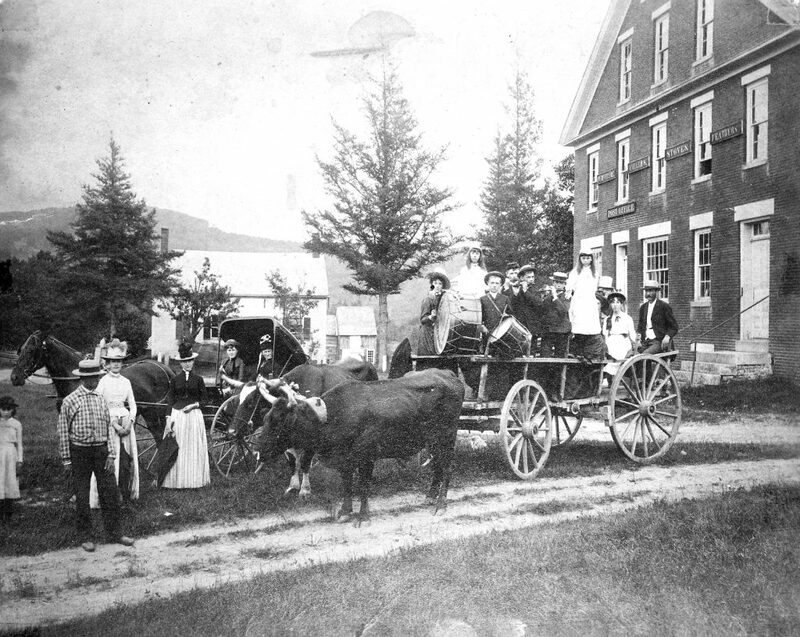 Festivities in the village, Nelson (NH), c. 1885. 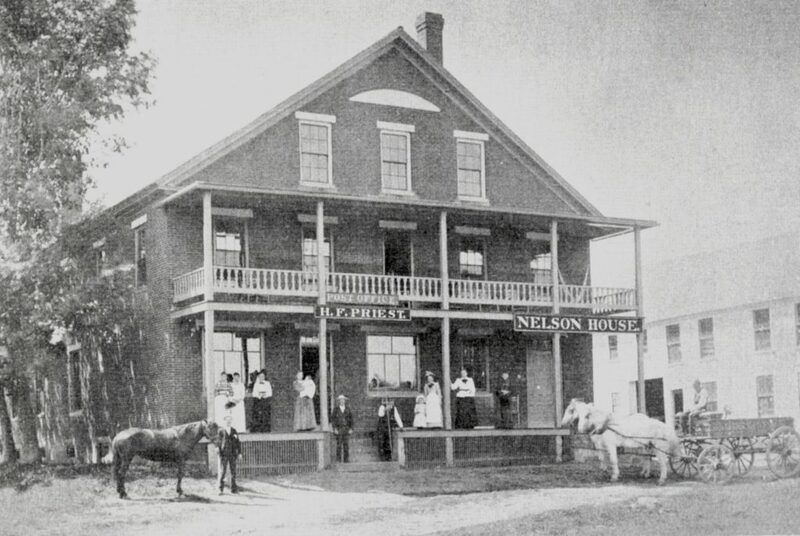 Store at right and Atwood house (where our Library now is) in rear. Man at far right is “uncle of” Orson and Eben Tolman and boy with small drum is Rob Tolman. 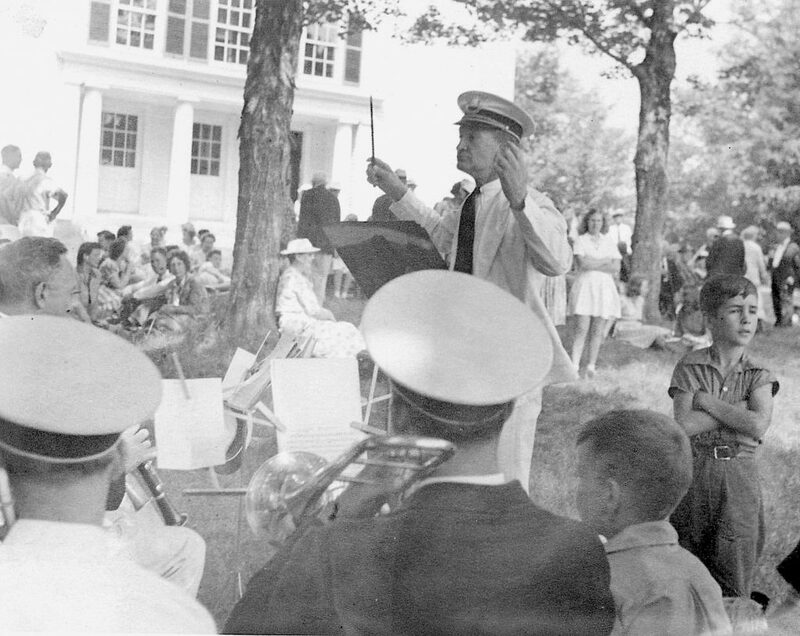 Otherwise those identified are l-r: Wilmer Tolman on large drum, Wayland Tolman and Percy Folsom with flutes. Notes by Rodger Tolman. Does anyone know what the occasion was? Homer Priest’s store on the common in Nelson NH) sold everything from feathers to stoves. The store burned in 1894.